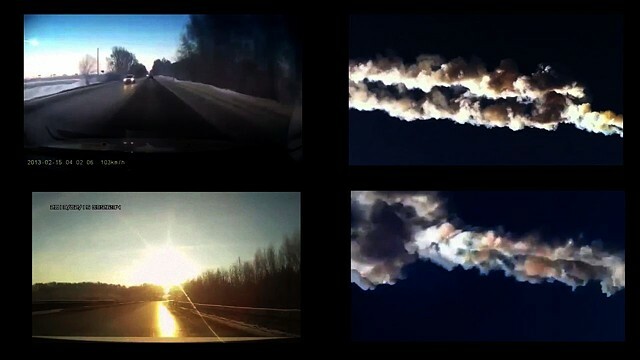 Lighting up the morning sky a meteor detonated mid air over Chebarkul, Siberia on February 15, 2013. Existential shockwaves emanating from the explosion caused a momentary chaos, and catalyzed more desperate fears that it was perhaps signaling The End. Russian Composer Scriabin a century earlier had composed his piece Vers da Flamme  Towards the Flame. It was inspired by his apocryphal conviction that an intense accumulation of heat would ultimately cause the destruction of the world. A few years before he wrote the composition, the Tunguska event  a devastating explosion from a runaway comet or asteroid, whose impact was equivalent to 1015 megatons of TNT had occurred in Siberia in 1908. Hypothetical, but compelling connections between these events inform this work.